Chris Rapalje will serve as director of the new Global Services resource in the Office of International Affairs. Emory Photo/Video. Emory's Office of International Affairs (OIA) will launch a new Global Services function Oct. 1, Vice Provost for International Affairs Philip Wainwright announced last week. Global Services (GS) will provide a single point of contact for questions and issues related to international work, including conducting research abroad, hosting international scholars and planning a global project. Chris Rapalje will serve as its director. "Our goal is to enhance the level of administrative and business support available to faculty and staff involved in global work, and to do so in an engaged and responsive way," Wainwright said of the new GS function, which comes on the heels of a related global support website launch by OIA and the Emory Global Health Institute. Rapalje comes to her new role from Emory's Business Practice Improvement (BPI) office, where she managed a number of projects including a yearlong collaborative effort that explored how Emory could strengthen its support of international activity. During the course of their research, which included interviews with more than 100 faculty and staff at Emory as well as peer institutions, the project team found a critical need for a staffed function to provide assistance, guidance and troubleshooting for the types of issues that international work can involve. 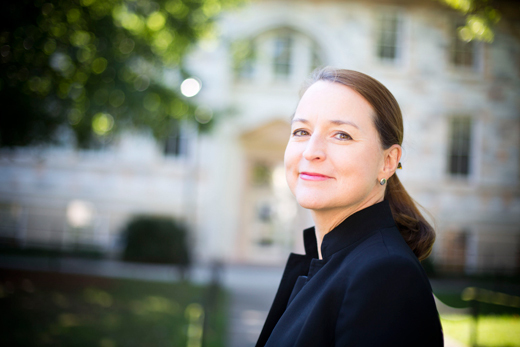 Prior to her arrival at Emory in 2013, Rapalje spent seven years in the Equity Research department at Suntrust Robinson Humphrey, where she was vice president. Her professional experience includes project management and consulting work for private- and public-sector clients. "Chris has shown great leadership throughout the BPI project over the past year, working with groups across campus to navigate the sometimes-challenging environment of international work. We are lucky to have her," Wainwright said. Rapalje will draw on a network of subject matter experts from administrative units across the university, as well as an advisory board. Faculty and staff who have questions or encounter issues related to their global research, scholarship or fieldwork should contact Rapalje via email or call 404-727-9127 for assistance.